To start off, I think this is the best Disney remake yet, it keeps the heart and best moments of the original while improving the story, developing the characters even more and making it its own with a few new moments. 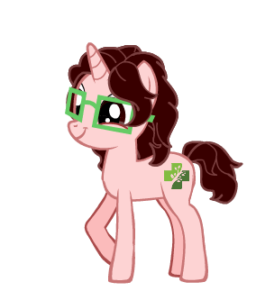 Also, apologies in advance, you will mostly be reading just me…fangirling. I just want to live in this movie so badly, it’s too gorgeous! I went to see it in theaters back in March mostly blind, the only knowledge I had beforehand was Emma, Josh, and Lukas in casting, the teaser trailer, Belle’s dress wouldn’t have a corset and the overemphasized gay moment at the end. I didn’t want to get my hopes up too high, I made sure to keep my fangirl meter in check, but oh my goodness, did this film surpass anything I could’ve imagined! For the most part, it hasn’t been all-too-well received when an animated feature is adapted into live-action. 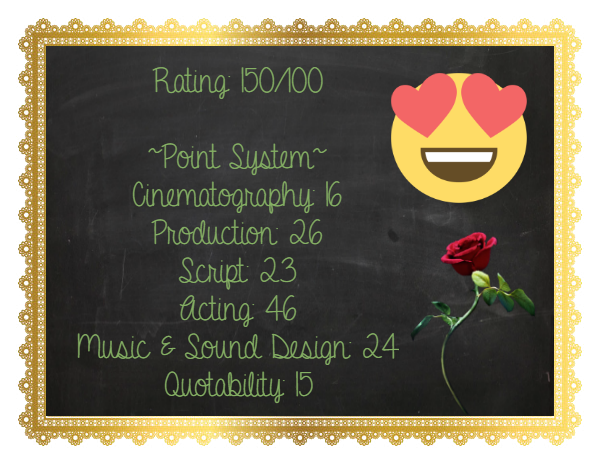 With such a limitless medium as animation, it’s difficult to measure up, you can do anything and it’s rarely questioned. Some random character tendencies are glossed over, you may end up having a few plot holes in the road, but the overall story is still a solid piece of work. 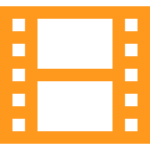 As with this adaption, in particular, it’s a fairy tale, logic and reality isn’t 100% there so most filmmakers would play it safe and make a carbon-copy of the original as best they can – or at worst, completely remove the fundamentals of what made the original so memorable. I’m looking at you 2015 Cinderella – with little care or consideration to developing the characters or story which will feel dull because we’ve already seen this story once before. That’s the whole essence of an adaption – to adapt is to change – change it to fit the medium with the right balance of old and new and you’re golden. Which is exactly what they did here and it is brilliance. The whole cast and creative team put so much love into the film when they could’ve just given us something subpar, they knew exactly how to handle one of the most iconic animated films to date. There was a good measurement of realism while still keeping to the beloved enchantment of the original, and filling in a few of those plot holes with said realism; kept the charm of the original with some of the best lines, and also improved on the story with new moments of their own to make it distinct. Adam is given more back-story, as well as Belle and making Gaston more violent and manipulative, to name a few. This opening was so much more than I expected. Incredible cinematography, well-orchestrated visual foreshadowing and right off the bat, a handful of the plot holes are explained away, all alongside Alan’s iconic score. Audra McDonald is queen. Right next to Julie Andrews. That is all. Just look at this sassy prince saunter with such grace out of his ridiculously beautiful rococo throne, Dan Stevens is definitely joining my list of beautiful British actors – right below Tom Hiddleston, you haven’t reached the Loki Level of adorable yet. Also, in this shot particularly, I love the camera pan upward as he stands and walks onto the ballroom floor, showing us how he is the center of attention. So, we’ve already seen his sense of self-importance, entitlement, his carelessness, his predatory yet immature demeanor. How he keeps shifting from one dance partner to another, always looking over his shoulder, for a better opinion. He’s equally enthralled and overwhelmed by all of these maidens in white and how much attention they’re giving him, giving us a glimpse of his vulnerabilities. All of this with no words, just Alan’s profound lyrics of the Aria as the backdrop and Dan’s wonderful performance. Even in the beginning of the film, we don’t see Adam’s real face until the end with Belle, with all the rococo-black swan makeup, just a dark prince mask for his majesty. Of course, the enchantress just barges in ’cause it would be odd for a prince to answer his own door. A+ to Stephen Chbosky & Evan Spiliotopoulos. We began with darkness and finally get the sun as we meet Belle…symbolism win. Polite then firm. I love her bluntness! No way she would spare his feelings when she sees right through his facade and just scoffs at his flimsy attempts of chivalry. But he is right on one thing, a sense of dignity is an attractive trait to have, making Belle my favorite role model. I like the addition to Belle as an inventor, it adds an endearment to her and Maurice’s relationship and it doesn’t overshadow her character as a whole. She still loves books and longs for adventure. Quote Win: “This is a small village, you know. Small minded as well. But small also means safe. Even back in Paris, I knew a girl like you who was so… ahead of her time. So different. People mocked her. Adding Maurice getting Belle a rose is a sweet nod to the original version of the tale by Jeanne-Marie Leprince de Beaumont. Oooh, just wait till you reach chapter three, dearie. There was a deleted version of this scene that went differently (possibly due to time constraints) and again Bill’s use of blocking and how well Emma and Lukas use their body language is so smooth. Belle forcedly shutting the gate closed between them as soon as he emphatically suggests wife… I am just so in love with all of it! Plot Hole Win: a tree branch falling in Maurice’s path, forcing him to choose the other way instead of him just choosing the dark and spooky path because…plot. Phillipe is the real MVP of this movie, a very loyal steed. Belle tells him to come into the light but he doesn’t so she brings the light to him. Much like her entire presence throughout. I just love the beast’s voice. Of course, he wouldn’t understand that kind of sacrifice based on what we learn later about his relationship with his own father. I was surprised how Belle replacing her father in the dungeon scene was written, it was different but I won’t say better and I’ll explain why. I like how different they were, again separating itself from the original but still paying tribute to it. LA: Belle is more physical in her sacrifice, pushing Maurice out of the cell whereas A: Belle was more decisive and made a deal and gave her word that she wouldn’t leave. That took a lot of courage and I’m not preferring one over the other, just acknowledging how different the two are while they’re the same character. A: Belle’s decision making in contrast to LA: Belle’s quick-witted actions. Because of how that scene was orchestrated, it also bleeds into the differences of LA: Belle beating Lumiere with a stool (which was hilarious!) and devising a plan to escape when she got to her room and A: Belle making a deal and being given a tour by the beast on the way to her room as sad as she is. A: Belle isn’t any weaker than LA: Belle, they just have different strengths. Many people attribute how “weak” the older Disney Princesses are for not being more physically active in their tales than the recent group but most of it is taken out of context because if you really pay attention to their actions you would see they aren’t weak characters at all. Music Win: You can hear the melody of Home from the Broadway musical when Belle walks in. Belle’s room is stunning, the whole castle is so ridiculously rococo, I can’t stand it! Plumette is also an enchanted flying bird feather duster, that was a beautiful and elegantly magical surprise. and the girls have their own individual patterns in you look close enough. 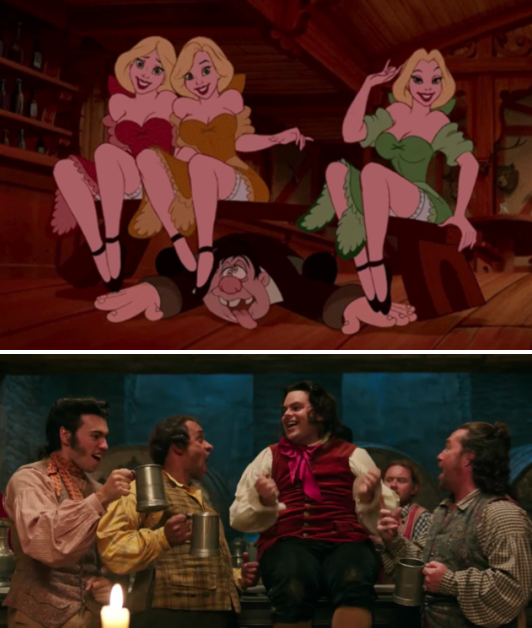 and Lefou having to pay the villagers to like Gaston and sing along, that dance break was so fun…and more foreshadowing. Dan’s motion-capture is so enticing to watch. Ooohh, Mrs. P certainly didn’t need any hot water for that burn! Belle and the Beast’s arguments are my favorite scenes and I’m so glad they kept them line-for-line in this version! This is also the example in defense of whenever someone claims this story is about Stockholm Syndrome. I don’t believe it is, there’s no evidence to support it. 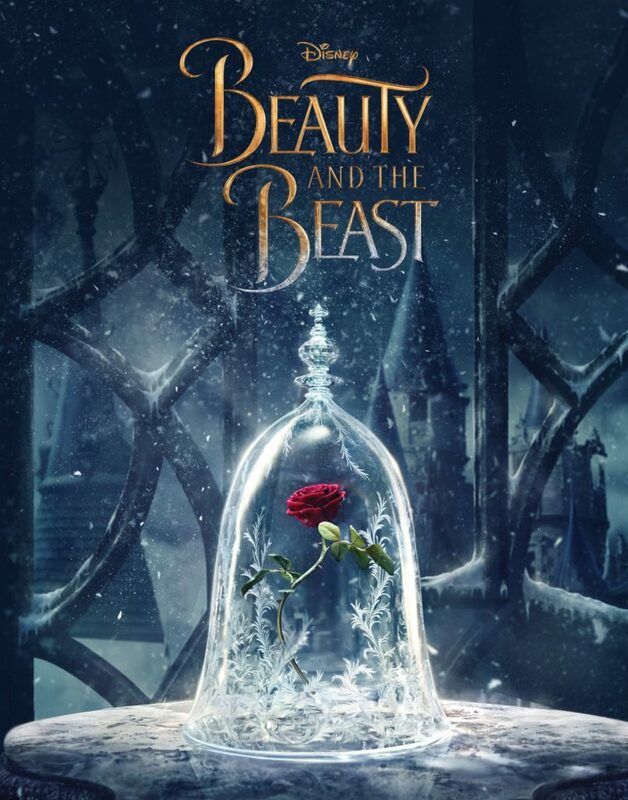 Adding the elements of the enchanted objects losing their humanity and the castle slowly falling apart as the rose petals fall from the Broadway musical was a great choice, it gives a sense of urgency and helping us symbolize with the beast and how desperate they all are to break the curse. Be Our Guest was everything with a cup of tea and two sugars! The colors were more muted and a lot of rainbow iridescence but the CGI blended well and while, maybe a bit too focused on Lumiere with him flipping and dabbing everywhere, darn that cat if it doesn’t make you smile out of giddiness by the end. He clawed himself and his father away but not his mother, just so much depth all over the place in this film. 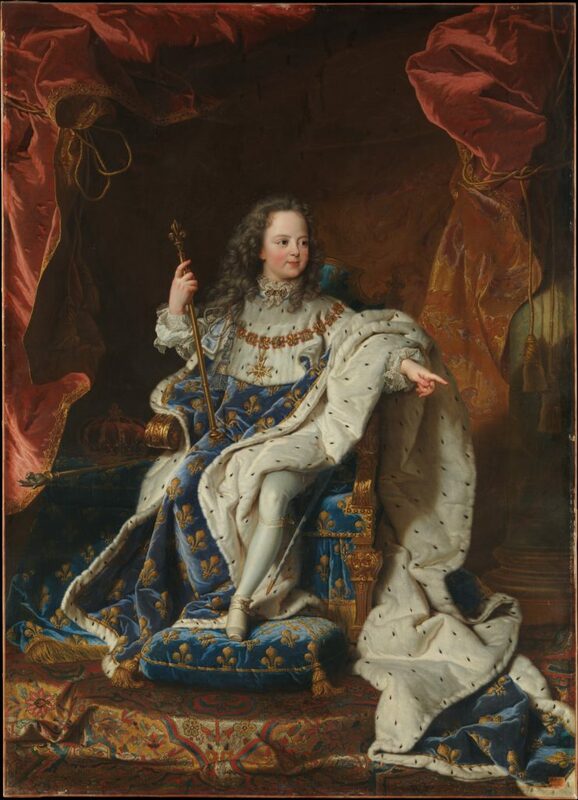 Also fun fact, young Adam’s pose here is similar to King Louis XV of France’s portrait done by Rigaud. Quote Win: “You have to help me. You have to stand.” Such a simple encouragement. This pause is my favorite moment of the movie, in both versions. 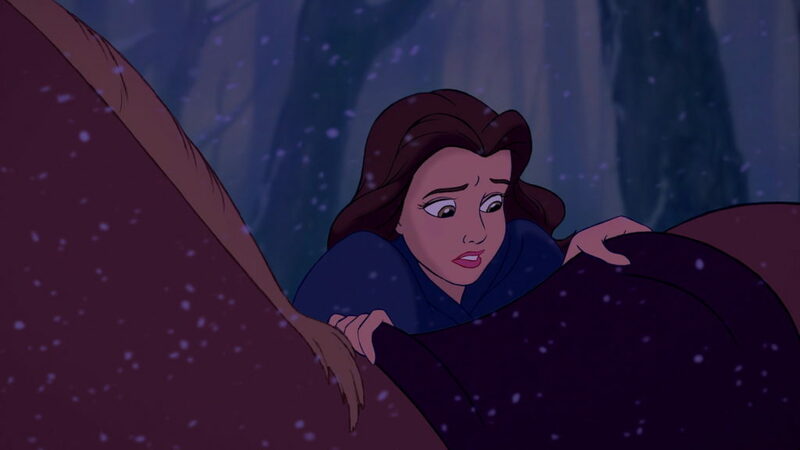 Belle is, by all means, free to go at this point and she is completely selfless in coming back and taking care of the beast because of how good of a person she is and that inspires him to be better, it’s the first act of love she shows him. Directorial Win: I also haven’t mentioned how well these transitions from each scene flow so well sometimes. Quote Win: “There’s no such thing as beasts.” Says the true beast of the film, and we see his villainous nature come to fruition and Lefou’s doubt of staying with him in this well-acted scene. As much as I would’ve loved to see Human Again in the live action version, Days in the Sun was incredible. Plus that would be a lot of enchanted objects to render. Alan Menken is a god. After writing the originals with Howard, and the Broadway version for this amazing tale, he’s still able to come up with new songs and they’re simply fantastic! Keeping Belle from knowing how to break the curse was a worthy change, they’re willing to accept the choices they made (or lack thereof) with Adam that turned him into the selfish person he was. Mrs. Potts did let it slip a bit in an earlier scene. They won’t drag her down with them by telling her he needs to find someone to love, otherwise, it wouldn’t be as genuine. Which transitions wonderfully to Agathe’s turning up throughout the film and what importance she has to the plot, more on that later. Acting Win: I love the look of joy and excitement she has after hearing the Beast finish her quote and realizes she’s finally found someone else who loves Shakespeare and reading as much as she does. Also, this is the perfect basis for their relationship to start blooming, over their love of books. Logicist Win: Of course with being a prince, he would have an expensive education and be bored by Belle’s enthusiasm for a play as overrated as Romeo and Juliet! Dan’s acting is great, he’s such a cinnamon roll! He just gives Belle an entire library because he doesn’t like her taste in books! My gosh, Adam… you beast…..wait. Haha! Of course, he wouldn’t be phased by his own gigantic library, whereas she’s just gobsmacked since she’s never seen so many books in all her life! This library scene always gets me giddy though, the dialogue is perfectly sweet and playful, and his little smiles towards her when he sees how happy and excited she is to be given those adventures. One of my favorite scenes: The Beast and Belle eating dinner and reading their books together at the table like they’re already married. UGH! The romantic tension, JUST KISS ALREADY! Look at these two smiling doves! They’re so in love. Belle and Adam’s relationship was well developed and well paced, I was impressed. I was a giddy jumping bean watching them fall in love so beautifully. They have such adorable banter! I love it all. The enchanted book was an interesting choice to transition to belle’s back-story with, while some think it a new plot hole, I think it was more of a projection spell than anything else. I don’t believe they were actually transported there, that would be too easy. If you go inside of the book then you go into whatever place you’re thinking of but since it’s magical, it can also pull from your subconscious hence Belle seeing what happened to her mother by seeing the doctor’s mask, because she was there, even if she was just a baby. …and then he just softens and smiles so softly as he realizes she’s talking about his castle as her home. I never thought the addition of the back-story for Belle’s mother and how Beast acts (because of his mother as well) would affect the tale so beautifully. It never crossed my mind how much of a deeper connection that would establish for the two of them until that scene came on screen. Just beautiful writing. Gaston’s manipulation of Lefou is a wonderful B story to follow as an opposition to the main plot. He uses Lefou’s affection for him to keep him under his thumb, and Lefou always tries to keep him in check, keep the good side of Gaston on the surface but the actions of Gaston leaving Maurice tried up to a tree to be eaten was the final glasses cleaning where he starts to doubt his reasons for staying with him but still tries to coerce Gaston into seeing the air of his ways while also testing to see if he feels the same way that he does by mentioning how it’s a good thing he’s not out in the freezing cold rain tried to a tree in the middle of the forest. When you love someone and you’re encouraging and hoping for them to change goes the other route, you realize that some people are just irredeemable and you have to ask if it’s worth it. Agathe already knows this, she’s seen how Gaston is and knows that he won’t change, which is why she just shrugs off his “old hag” comment towards her. She chooses Belle because she sees her kind-heartedness, even her undeserving politeness towards Gaston and knew she would be the perfect person to get Adam to change. Gaston is passed that redemption, (so Lefou would have to be the one to change) there would be no point in cursing him. Yep, villains. Villians and the touching, what is up with that?! I see nothing wrong with the dress, it is beautiful. It flows nicely and I loved it in the dance, the animation of the golden flecks being added to the hem as well. That ear cuff was dope too. Look at him, he can barely breathe seeing her in that dress! The dance itself was it’s own deviation, as it should be. Certainly more intimate, without the gloves, and you can still see them falling in love. and that lift gave me chills. Even though she’s unsure if her feelings are real at this point, she’s not denying the possibility either. We don’t get a song about how he’s been falling in love with her throughout the movie, oh no, that’s all we’ve been watching – we get the most heartwrenching song about what’s she done to his life, how she’s inspired him, opened up his heart, changed him, gave him hope again, and how he’ll always be there waiting. Music Win: All of Evermore. The lyrics, the orchestra, just everything! Thank you, Alan Menken, and Dan Stevens. Ugh, the anguish on his face! “Waiting here, for evermore…” That zoom out all the way from the Beast to the last shot being Belle riding away still in her dress was incredible, on his last note, hoping it would reach her before she gets too far. and then sudden black and the ORCHESTRA! So perfect and so many chills. Aww, Maurice. He couldn’t save her from the beast in the castle, but he can save her from this one. Lukas, you are astounding. He pauses to look pointedly at her in fear before seamlessly shifting to start a plan of an uproar because they both know he has the power of the people and now he can turn them against her. I haven’t said much about Agathe, but that was a good twist. Her role in the story was in the background but also the most important. Her curse wasn’t only for the beast to learn a lesson, it was for both of them to find each other. She kept a watchful eye until she knew it was time to break the curse. And he just waits for her to come to him, it’s a wonderful parallel to the dance scene when Belle offers her hands to him and lets him come to her. “She’ll be his special one…” They can’t take their eyes off each other! and this enamored, lovestruck fool is still a little sass master, look at his face as he twirls her! or that he never lets go of her hand! Oh my, that growl…bring on the fanfics! They’re so sweet and flirtatious, in their blissful happy ending. 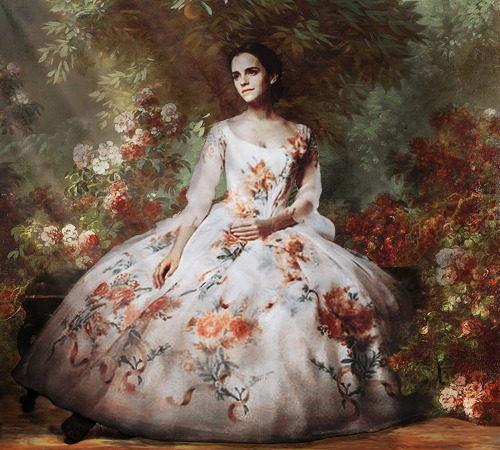 Why is no one talking about Belle’s wedding dress at the end though?! It’s so beautiful and simple with all those roses on it!! I’m glad they brought Celine Dion back to sing an end credits song. Even the end credits are stunning! My god, the creative team is full of wunderkinds! 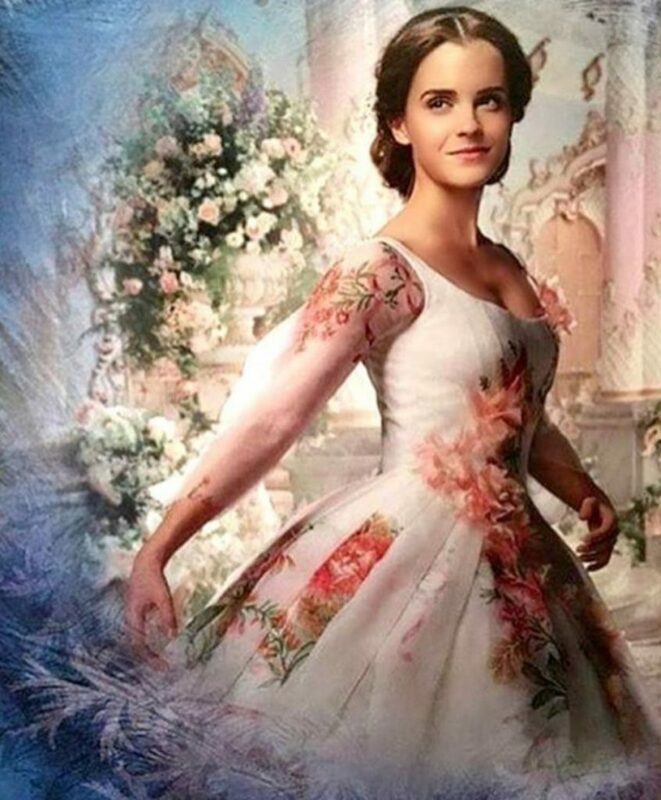 Emma did wonderfully originate her role as Belle. She brought an appropriate stubbornness to Belle. She was more assertive and headstrong in her actions in addition to Belle’s kindness, intelligence, and bravery we all know and love. Paige O’Hara and Susan Egan also gave their blessings so if you didn’t like her, go enjoy the original animated feature. I’d never heard of this actor previously so Dan was definitely the highlight for me. He brought so much emotion all while being covered in gray lycra, marker dots, a 40 lb muscle suit, a cooling vest, and 10-inch metal steel toed stilts, I was throughly impressed. I’ll need to move Downtown Abbey up on my to-watch list. I’m also excited to see him in The Man Who Invented Christmas soon. Luke Evans’ Gaston was well executed and just not in looks. 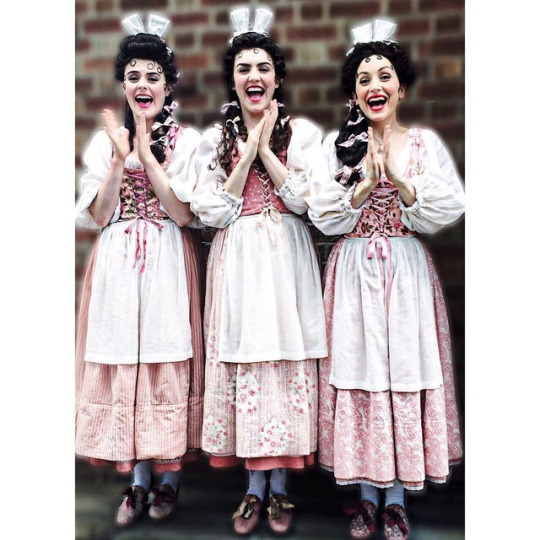 (Points to Lucy Bevan for casting!) His performance was spot-on, albeit crueler than the original and more grounded than most Disney villains, but he was still realistic in his progression to the power-hungry monster Belle revealed he was. Great singing as well. Kevin Kline was wonderful, a perfect choice for Maurice as a gentle and encouraging father. His few comedic moments were great and I never realized he voiced Pheobus in Hunchback of Notre Dame! So he’s a Disney veteran at this point. Josh Gad was brilliant as always. Lefou was a much more prominent character than just the villain’s sidekick. He had a great redemption arc and realized HE can do better than Gaston. Ewan, you stole my heart at Moulin Rouge! Flamboyant and charming. So you were golden..or is he brass? I shall repeat myself: Audra McDonald is queen. I met her in 1999’s Annie and she’s as wonderful as ever. I loved Gugu’s accent! Even though I’m not that knowledgeable about makeup, but I’ll admit her highlights were on point! If anyone hasn’t seen her in Belle, go watch it, she’s amazing! Hattie’s performance was well-done, to say the least. Her character had a great presence. He didn’t have that many lines and his acting was mostly voice-over but Nathan was still adorable, I hope to see him again in the movies. Sir Ian McKellen turned down the role of Cogsworth in the original, so see him return for the remake was an honor, his performance was as smooth as clockwork. Emma Thompson is that sweet distant aunt who sends cookies over the holidays every year, I always love the warmth and quick-witted charm she brings. On my first viewing of this, I was curious about the red and white thread on straps of Belle’s village dress because I have the same thread in my craft supplies and I came to find they’re called martenitsas and they’re a Bulgarian symbol of health. So I’m throwing out another symbolism win! A part of the holiday of Baba Marta Day, which begins on the first of March in welcoming spring. They’re mostly given in the form of dolls (a male named Pizho and a female named Penda.) or tassels. Red for the sun’s rays and White for the last snow of winter. 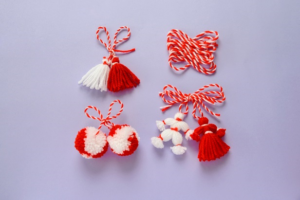 They’re always to be gifted to you by someone, and in the beginning of March, you wear the thread as a pin or a bracelet until you see a stork return from migration or a blossoming tree than you remove it to tie to the tree to pass on that good health. As well as taking Belle’s simple blue dress and implementing it with some 17th-century accuracy with the outside pockets while keeping her light shade of blue was a great choice. 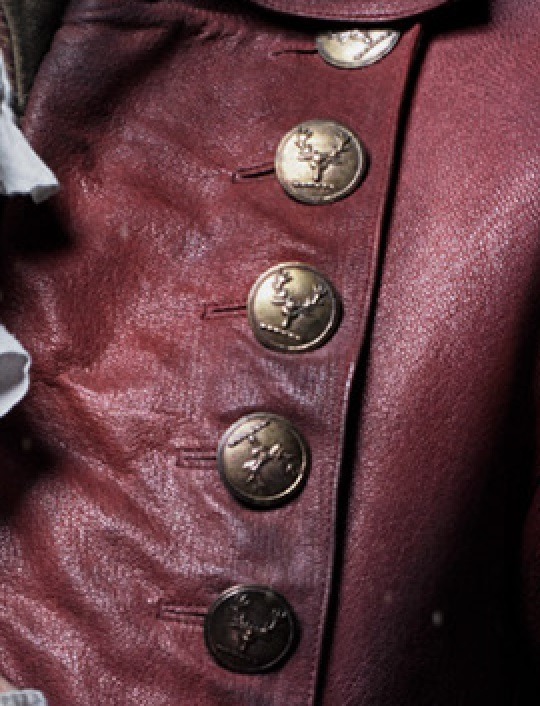 I found a costume designer (not involved in the production of this movie) who went into better depth than I ever could about Belle’s pockets, that you can read over here. The blue also creates a visual connection to Adam, he starts in a dark shade of blue and as he spends time with Belle, his outfits transition from tattered cloth to a more sophisticated form but in a lighter shade than he had before, symbolizing him regaining his humanity as he’s falling in love with Belle. Which culminates into his celebration outfit, where it still makes him the center of attention in parallel to his introduction, but in a better light showing how he’s a better person than he was before. and Gaston really does use antlers in all of his decorating! Personally, some of the minor continuity errors that people (over)analyzed from the original, I didn’t give a whole lot of attention to because it’s simply a fairy tale. (how belle lifted the beast onto her horse after the wolf attack, why the villagers didn’t know they have a cursed prince, the Eiffel Tower, etc.) It’s in the same vein as asking, “Oh, why is Tarzan riding a high wheeler in the jungle? That’s so impractical!” It’s just a form of imagery for the scene, that’s all… but I digress and in spite of that, the corrections improved the characters and helped form a complete story. So in conclusion, this was a perfect remake-combo of all three versions of this iconic Disney classic, we got a few new songs, elements from the Broadway musical were brought on board, a smidge of historical accuracy, and the most wonderful aesthetics I’ve ever seen. Worth buying on DVD? ~~ Yes, I highly recommend the steelbook.